We have a new page a new page set up by Margaret. You can find it here. Soon, you will also find our links to the weekly recipes. As you see, you now know what we are cooking ahead of time, and you can jump in at any time. Go and visit our other members and our webpage. Glad you liked this Chaya - I did too. I often forget I have ingredients and double up by buying them again. 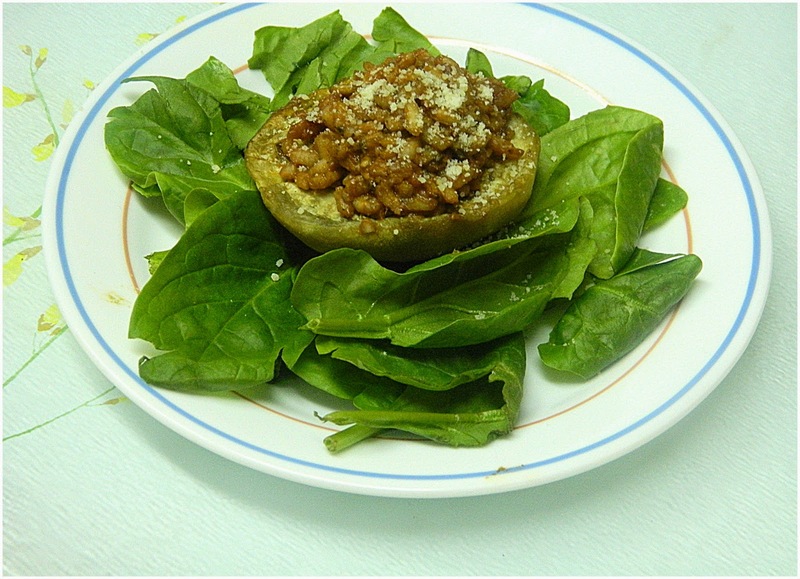 Oh, I like the way you plated it on top of the spinach as well. More veggies - you know me, easily pleased if there are more vegetables. :) Too bad that it's not a repeater, but now you have lots of arborio rice for next week's recipe! Not a repeater for us either, but it was an interesting and tasty dish. Mine looks a lot more tomatoeeey (is that a word) than yours!! LOL on the finding out hubby did not like eggplant...they surprise you all the time, don't they? Just when I think I have it all figured out, I find out that I don't. Keeps life interesting. 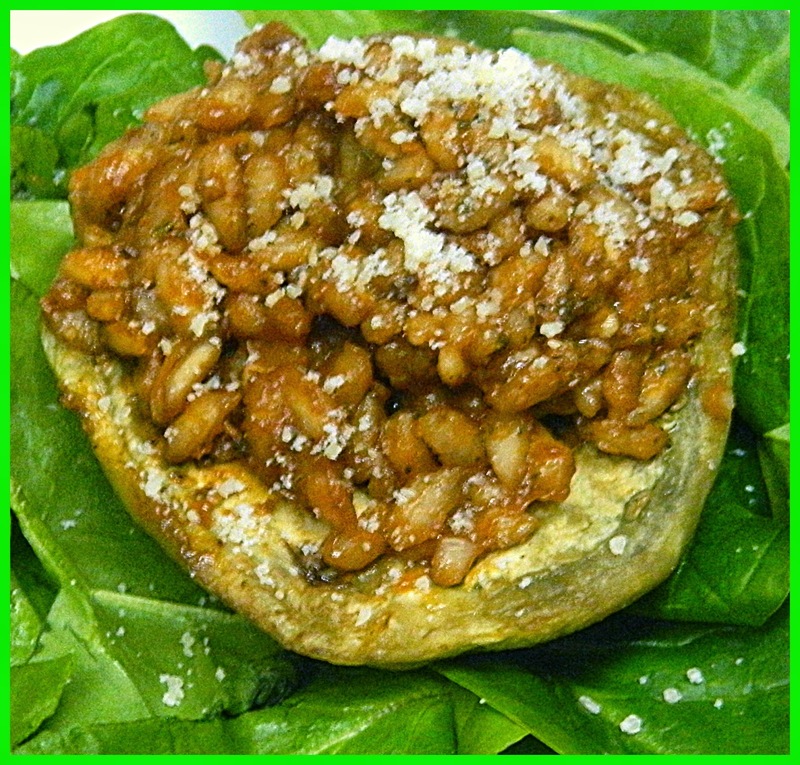 Love the spinach addition, that would be great here...Mark liked the risotto part and skipped the eggplant part. :-) Fun to try something new...and next week we make your risotto pick! I like risotto, but it's the three pot part of the recipe that might turn me away. Haha!